These products were provided to me for my honest opinion and review. Today I'm excited to share the new A-England Elizabeth and Mary collection. 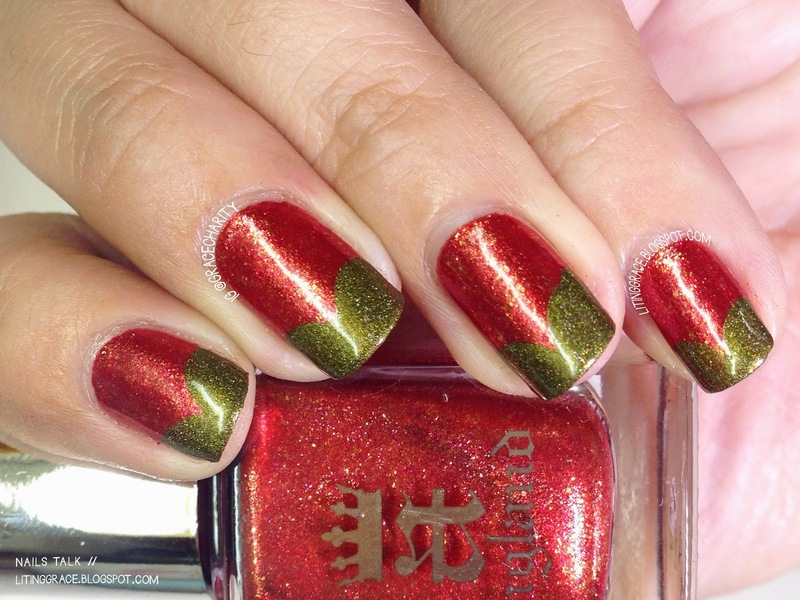 Inspired by "2 iconic Queens in British history", this collection consists of 5 new beautiful shades created by the talented Adina, creator of A-England. It's no secret that the formula of A-England's polishes are flawless and formula for these 5 polishes are no exception. Application was a breeze and 1 coat was required to reach opacity but I went with 2 coats out of habit. Virgin Queen; described as an antique white/silver/bronze holographic shade. This is the most interesting shade out of the 5; it's hard to describe the color. Shades of antique gold, bronze and silvery brown can be seen with a dash of subtle holographic powder infused. A finish that's metallic yet not really metallic. A unique shade that's suitable for Autumn and Winter. 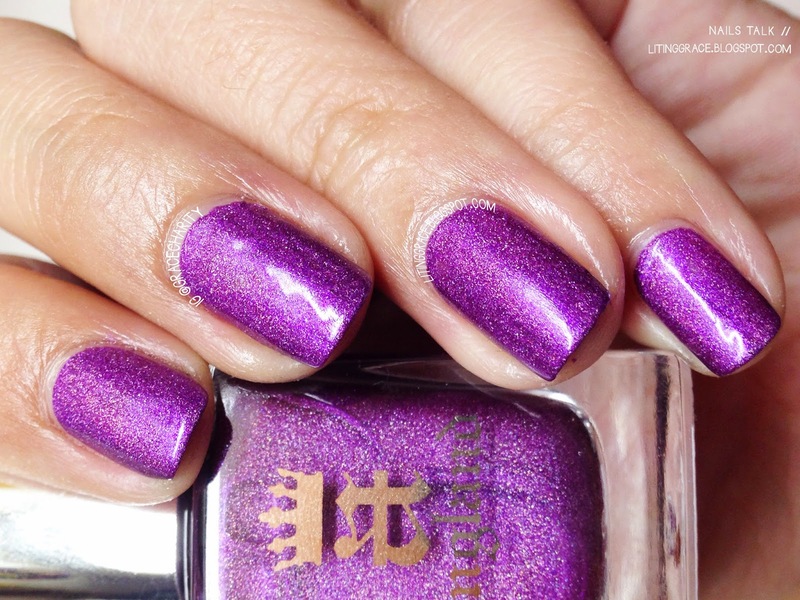 Crown of Thistles; a gorgeous vibrant purple holo polish. The color matches that of Scotland's national flower as described by Adina. 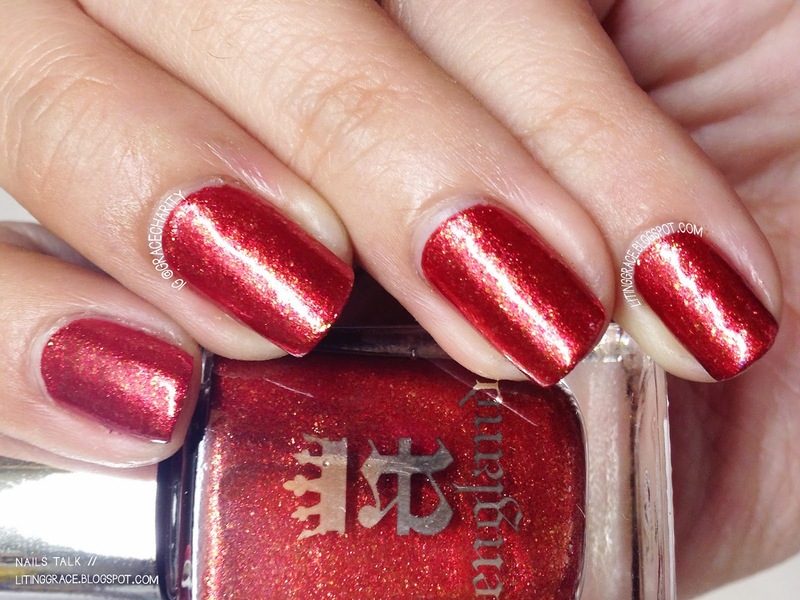 A fantastic color that's suitable for the year-end parties! 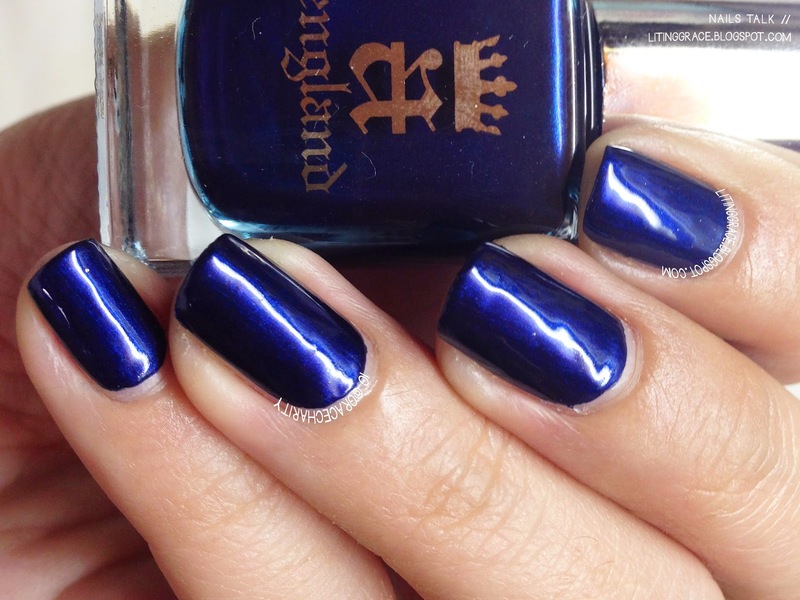 Queen of Scots; a rich, vampy royal blue. What I like is the deep blue shade and subtle shimmer, it's so different from the usual royal blue polishes. Another perfect shade for Autumn and Winter. 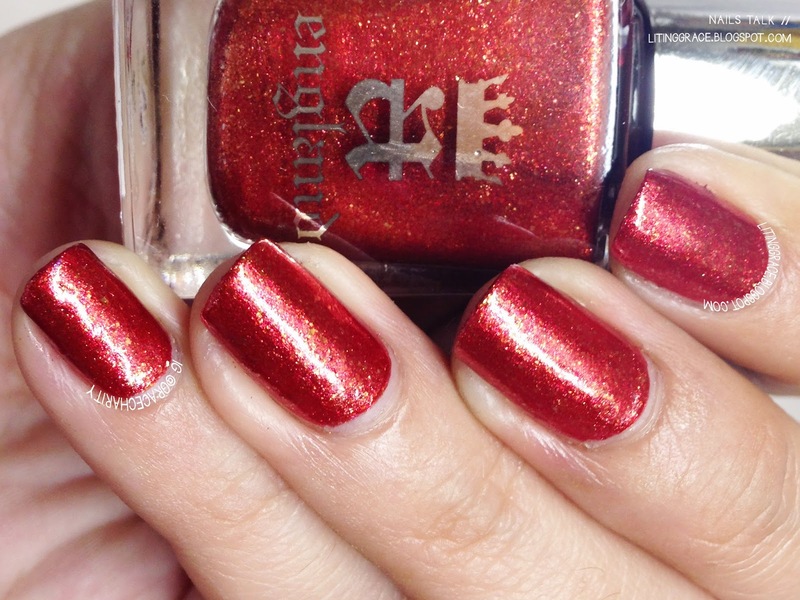 Gloriana; a metallic rusty red foil polish with gold flecks. This beauty has a luxurious and warm feel to it and it's perfect for Christmas! 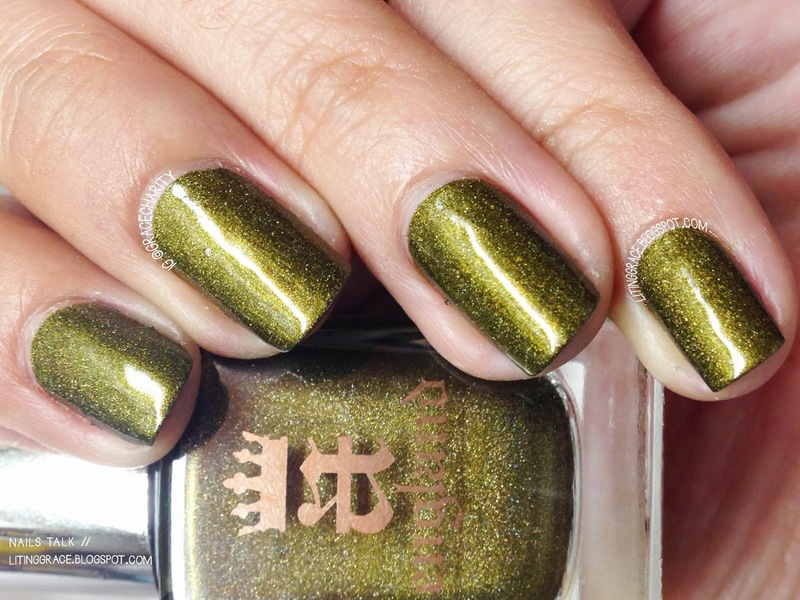 Last but not least, Fotheringhay Castle; a mossy green shade with scattered holo. This was a surprise winner for me. I did not expect to fall in love with it when I first laid eyes on it, but I was sold after I painted the first coat. If you are tired of wearing red for Christmas, then I highly recommend wearing this for a change. 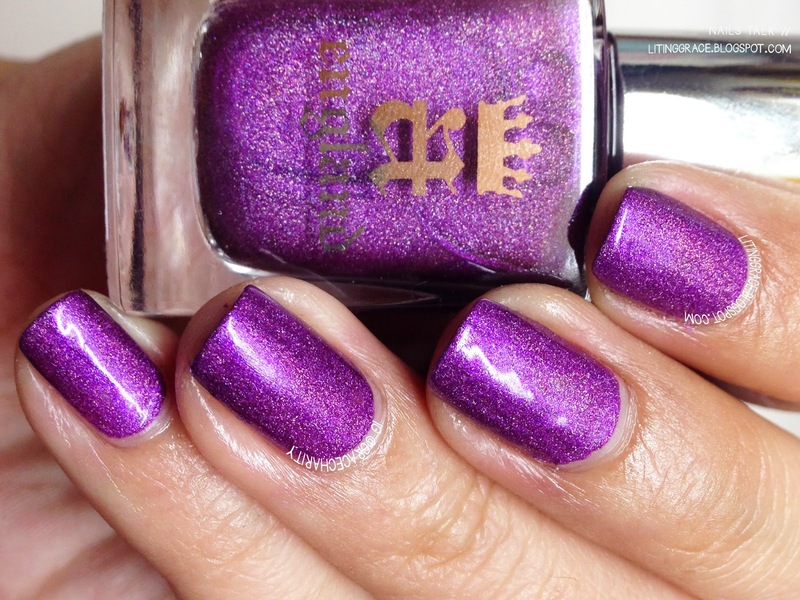 This is one polish that every polish lover ought to own! As a bonus, I decided to create 2 different looks using 4 polishes from the collection. 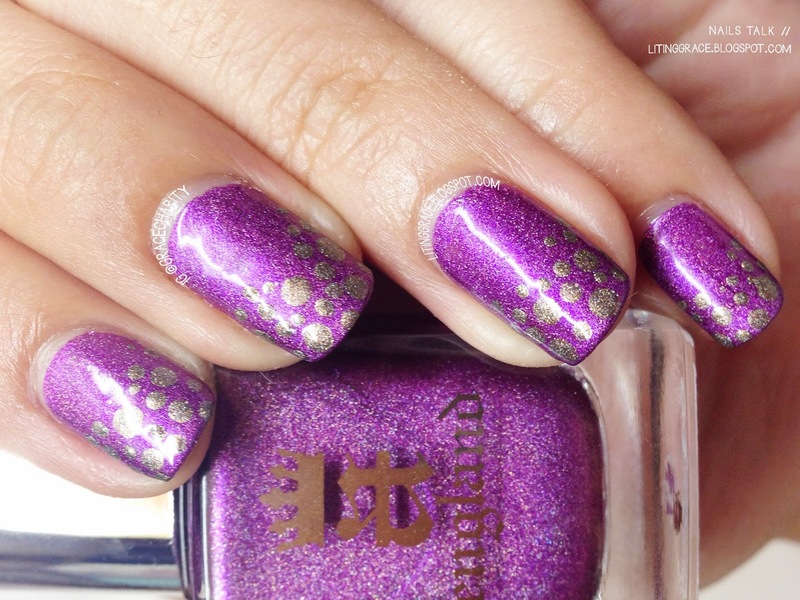 First, a dotticure with Crown of Thistles as the base color and Virgin Queen for the dots. A simple fish tail design with Gloriana and Fotheringhay Castle. Doesn't the color combination reminds you of Christmas. This collection totally blew me off. Unique colors, flawless formulas and easy application, it's difficult not to love it. 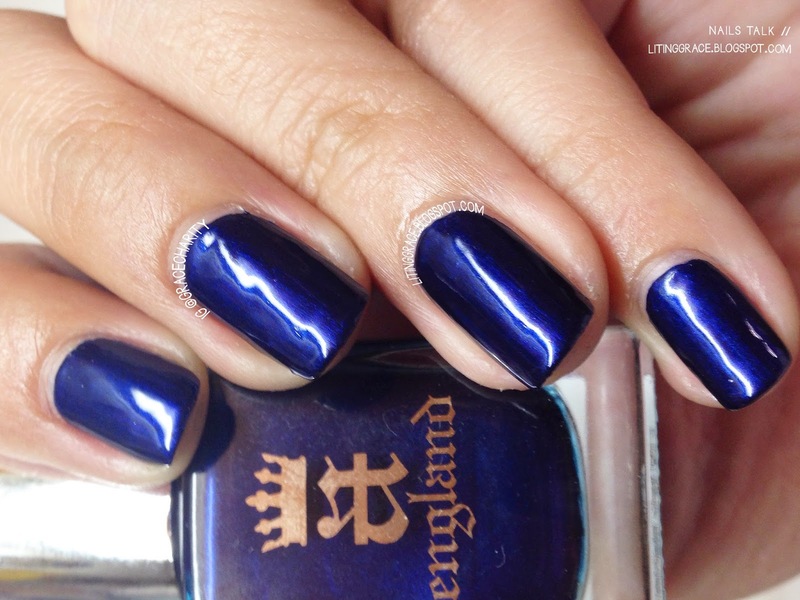 A-England polishes are available here and are stock at Mei Mei's Signatures too. Do follow them on their respective social media accounts for the latest dips on upcoming collections and new colors.